Published 26 January 2015 at 3264 × 2448 in Ooops – it’s been 4 months!! 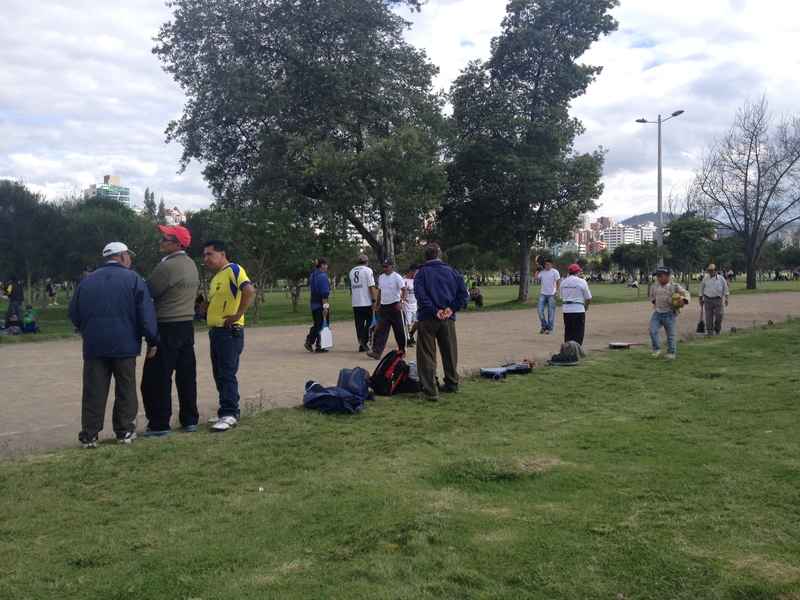 On the weekends, you can find a bunch of guys playing a sport you will only see in Ecuador. They hold these incredibly heavy boards and bang a rubber ball around. Lots of hooting and shouting!